Gail Ryall is a retired children's librarian, she has been active in labor, women's and peace organizations for many years. Ryall grew up in upstate New York and now lives in Sacramento, California. In 2014, Gail Ryall, was listed a a friend on the DuBois Clubs Facebook page. 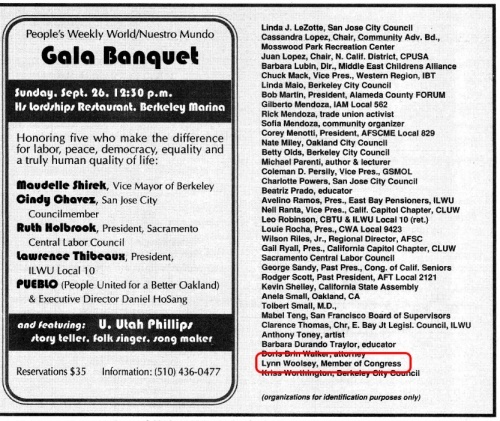 In September 2006 the People's Weekly Worldlisted several members of the California Communist Party USA. Abe Blashko, Leo Blashko, Lilo Heller, Sara Alchermes, Armando Ramirez, Cassandra Lopez, Danny Morales, Gail Ryall, Jacqueline Cabasso, John Kitchenka, John Reiger, Juan Lopez, Marilyn Bechtel, Siri Margerin . In 2010 Gail Ryall was the chair of the Sacramento Communist Club and a member of the Northern California Communist Party USA Regional Board. 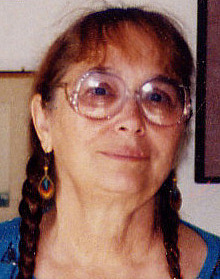 In September 1999, Gail Ryall, Pres. California Capitol chapter Coalition of Labor Union Women, Sacramento Central Labor Council co-sponsored a Communist Party USA fund raising event in Berkeley. Rep. Lynn Woolsey co-sponsored the same event. The Sacramento branch of Physicians for a National Health Program met Feb. 28, 2014, present were Dale Stark, Nancy Lazarus, Robert Lee Grant, David Siegel, Diane Wolfe, Shiv Bhat, Glennah Trochet, Henry Abrons, Mary Beth Metcalf, Bob Vizzard, Adarsh Bhat, Alicia Hart, Rolf Unterleitner, Lola Acosta, Bruce Pomer, Carolyn Negrete, Denette Dengler, Gail Ryall, Randy Hicks, Dan Braunstein, Millie Braunstein, Claudia Chaufan. In July 2015, Members of African American Equality Commission Communist Party USA FaceBook group included Gail Ryall. Closed working group for the African American Equality Commission of the CP USA. This is a space for members of the commission to brainstorm, communicate, and work through ideas between official meetings.. Encouraging Rep. Doris Matsui to oppose “Fast Track” and the TPP with the Raging Grannies, other community groups and unions. 5th and I Streets, Sacramento. — with Andy Conn, Sandra Wagner, Gail Ryall and Shelley Hamilton.